Bhubaneswar:16/8/18; The All India Congress Committee (AICC) president Rahul Gandhi on Wednesday formed the new team of Odisha Pradesh Congress Committee (OPCC) to assist incumbent president Niranjan Patnaik. While senior journalist Satya Prakash Nayak, who recently joined Congress, has been appointed as chairperson of Media and Communication Department, senior Congress leader and former Odisha Assembly Speaker Kishore Chandra Patel has been appointed as the new cashier of the Odisha Pradesh Congress Committee. In the new list, the AICC has appointed 14 vice-presidents— senior Congress leaders, Anant Prasad Sethi, Arya Kumar Gyanendra, Bijaylaxmi Sahoo, Sadan Nayak, Santosh Singh Saluja, Radhakant Digal, Ganeswar Behera, Debashis Patnaik, Amarnath Pradhan, Kailash Acharya, Sibanand Ray, Subendu Mohanty, Nakul Nayak and Sushmita Behera. Besides, the AICC has appointed 24 general secretaries—Sanjib Giri, Janaki Ballav Patnaik, Biswajit Dash, Bishu Charan Barik, Biswabhusan Das, Alok Mishra, Raj Kishore Sarangi, Raj Kishore Das, Himashu Sekhar Das, Uma Ballav Rath, Giribala Behera, Binod Patra, Saroj Patra, Ajit Das, Akbar Ali, Himanshu Sekhar Lima, Kuni Mallik, Laxman Kumar Meher, Dasarathi Gomango, Adhiraj Panigrahi, Appala Swami Kadraka, Bidyadhar Dehury, Kumudini Kirsani and Sangram Keshari Jena.The Executive Committee members are Niranjan Patnaik, Kishore Chandra Patel, Narasingha Mishra, Chiranjib Biswal, Naba Kishore Das, Pradeep Majhi, Rabi Kumar Sethi, Ram Padhi, Gajapati Rao, Tarun Majhi, Naren Pallai, Chaturbhuj Nayak, Bata Krushna Tripathy, Narendra Mishra, Ras Bihari Behera, Baghabat Prasad Mohanty, Nrusingha Rath, Manoj Kumar Mohapatra, Harihar Karan, Prakash Chandra Debata, Nagarjun Pradhan, Chintamani Dhyansamantray, Matlub Ali, R.K. Nayak, Ajanti Pradhan, Gobardhan Das and Jagannath Rout. 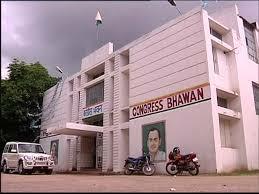 This apart, 13 senior Congress leaders to be nominated as special invitees are —former PCC presidents Prasad Harichandan, Hemananda Biswal, Kanhu Charan Lenka, Sarat Patnaik, K.P. Singhdeo and Jaydev Jena, ex-central ministers Srikant Jena and Bhakta Charan Das, CWC member Ramachandra Khuntia, AICC secretary Biswaranjan Mohanty, MP Ranjib Biswal, ex-CWC member Sushila Tiriya, AICC ST Department vice-chairman Shyam Sundar Hansdah and all elected MLAs, frontal organization heads (Mahila Congress, Seva Dal, Youth Congress, NSUI, INTUC. Moreover, the AICC has placed seven members in Disciplinary Committee, in which the chairpersons are Hemananda Biswal, Anant Prasad Sethi (convener), and members are Bhagabat Prasad Mohanty, Pradeep Kumar Rath, Rabindra Nath Mohanty, Niranjan Panigrahi and Sabitri Chaudhary.